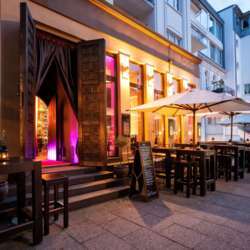 Imara is also a well known restaurant with delicious tapas. Feel free to bring your friends along with you. However, where possible, please get them to sign up for InterNations first. If not they can just come along to the event and pay €12 (Rate for Non-InterNations Members). Hopefully see you at IMARA on 2 May!